Actor Scott Eastwood, the son of the Hollywood legend Clint Eastwood stars in the horror movie “The Texas Chainsaw Massacre 3D”. According to omg!, the 25-year-old “cutie” is following in his father’s footsteps, having the lead role in what is envisioned to be a trilogy. “The Texas Chainsaw Massacre 3D” is set to start the filming this week in Louisiana. Scott Eastwood is the latest addition to the cast, which already includes Bill Moseley, Alexandria Daddario, Tania Raymonde, and Sue Rock. 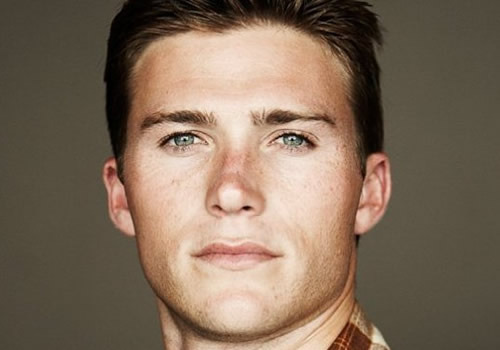 Scott Eastwood will pay the role of Carl, the lead man role. Alexandria Daddario plays the role of the main female character. Bill Moseley will be Drayton and Sue Rock landed the part of Arlene. The film, which is mainly about a cold-blooded killer known as Leatherface terrorizing a group of teenagers, is a continuation of the original story in 1974. In the first movie of the franchise, which was directed by Tobe Hooper, a group of 5 teenagers go to visit the old house of one of them after finding out that the grandfather’s grave has apparently been desecrated in a ritualistic mode. On their way, they go past a slaughterhouse and help a hitch-hiker which seems a bit strange. They also stop for a bite at a gas-station before arriving to the old family home where they would spend the night. Right that night, the terror unleashes as they meet a family of cannibals and the chainsaw killer. In the latest movie, Heather gathers a few friends who accompany her to collect an inheritance. The story unleashes the same terror as the original one, with Leatherback hunting the teenagers down one by one. The movie is produced by the same team that produces Saw 3D. It is directed by John Luessenhop. The writing credits go to Stephen Susco for the script, Debra Sullivan for the story, Adam Marcus for the screenplay and Kristen Elms for the scenario. The Texas Chainsaw Massacre 3D” is set to hit theaters on October 5, 2012.